2 days packed with the best winter attractions along the South Coast of Iceland. An unforgettable getaway adventure. You do not need to spend a long time in Iceland to discover the great diversity of its natural wonders. In only two days, your expert guide will take your small group to many of the country's highlights, including the renowned Glacier Lagoon, Jökulsárlón, the majestic glaciers of the South Coast, and the beautiful waterfalls Seljalandsfoss and Skógafoss. On top of the stunning scenery, you will experience an exciting Glacier Walk with Ice Cave exploration on Europe’s largest glacier, Vatnajökull. We spend the night at a brand new 4-star hotel, the only in the region. 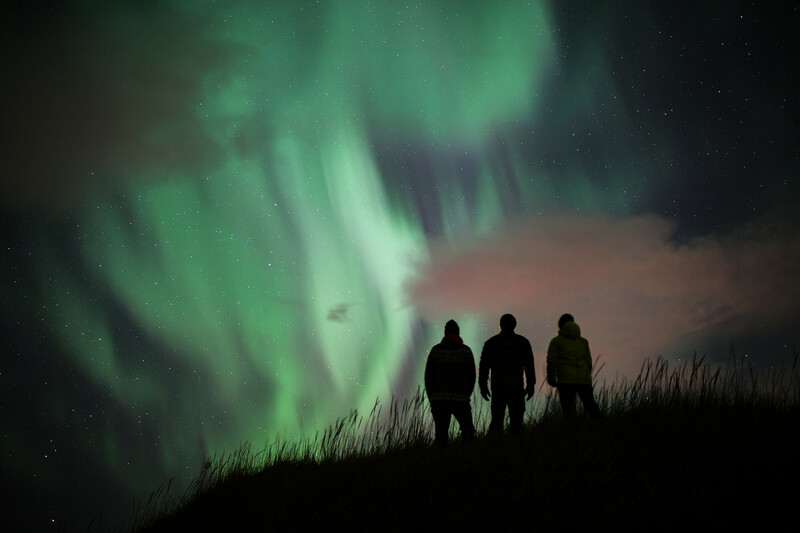 Its countryside location is the perfect spot to experience the Northern Lights! If you have more time in Iceland and want to visit the west, add the "Wonders of Snæfellsnes tour" to your itinerary for a 4 day adventure. Accessible to all those in good health, who are doing some sport regularly and who are used to all-terrain walks. 4-6 hours walking per day, without much carrying. The absolutely incredible scenery! I am from Taiwan, and we have a great mixture of urban metropolis and nature, but I have never seen such the scenery as I have in Iceland. The Glacier Lagoon, ice cave and glacier, they all make me feel like Iceland is a totally different planet. Will we see the Northern Lights? Can I get a triple room? How much luggage can I bring on the tour/can I bring a suitcase?